BNP chairperson Begum Khaleda Zia has arrived in Cox’s Bazar by road to see the plight of Rohingyas who fled from Myanmar’s Rakhine State. She started her journey from Chittagong to Cox’s Bazar on Sunday morning at 11am. Meanwhile, thousands of people, including BNP activists have gathered at Chittagong-Cox’s Bazar highway to see Khaleda Zia and to give a warm floral reception. They had to stand on both sides of the road to see Khaleda Zia since morning on Sunday. Khaleda Zia has been welcomed by the BNP leaders and activists who were shouting slogans since morning on the main road of Patiya, Chandanaish, and Satkania and Lohagara upazilas, Chakaria, Eidgong, Kalir Chara, Joarianala, Ramu,Banglabazar,link Road,Coxsbazar etc..
Khaleda Zia came to Cox’s Bazar aftermath of the attack on the Ramu Buddhist temple in 2012. Since then, BNP chairperson did not come to Cox’s Bazar. On that day she came to Cox’s Bazar by road from Chittagong and exchanged views with people of Chakaria, Pekua in the Chakaria Bus Terminal. Former minister Salahuddin Ahmed was present in that meeting. Khaleda Zia is coming to Cox’s Bazar today. But Cox’s Bazar BNP’s Guardian, whom she had rewarded as a minister from Cox’s Bazar is not available here.thats why today there are enthusiasm among the leaders as well as the depression also prevailing simultaneously. The affliction of losing something is visible in their eyes. Many leaders of Cox’s Bazar BNP think that Salahuddin’s absence is irreparable. Others believe that today except Salahuddin Ahmed they are helpless. 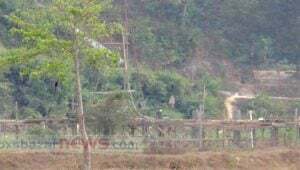 Although sources said, BNP’s Standing Committee member Salahuddin Ahmed, who is staying in Meghalaya, is regularly communicating with local leaders of Cox’s Bazar. The correspondent of CBN talked to Cox’s Bazar district BNP’s several leaders in this regard. Cox’s Bazar district BNP’s office secretary Yusuf Badri said, today the country’s leader Begum Zia is coming to Cox’s Bazar and celebrating the festival colorfully, but it seems darkness on the other side because our leader Saladuddin Ahmed is not with us.We are feeling his absence tremendously not only politically but also personally I like him. The name of Salah uddin Ahmed is deeply rooted among the BNP leader and worker’s heart.we are following him every time. General Secretary of Pekua Upazila BNP Iqbal Hosain said, our party’s top leader is coming to Cox’s Bazar. It is our pleasure. But it is very heart-rending sight for us because our beloved leader Salahuddin Ahmed is not here. Not only Cox’sbazar district but also whole country is feeling deeply his absence.he claimed. 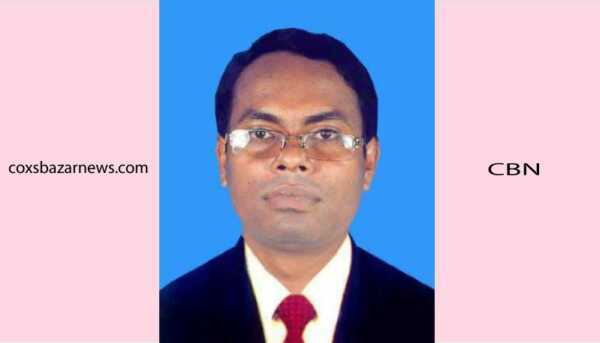 General Secretary of Pekua Upazila Jubo Dal Kamran Jaheed Mukul said, we feel very much the need of our leader today. Without Salahuddin Ahmed’s presence we can not even imagine today’s programme. But we like to show the people of the country through today’s presence, how much we love Salahuddin Bhai. President of Pekua Upazila Women’s Dol Sabina Yasmin Jinnu said, we never dreamt our pride Salahuddin Ahmed can not be seen in Cox’s Bazar beside the BNP chairperson. Today his gap has made us as orphan. I think salah uddin bhai is very much needed today beside the chairmperson of the BNP. Pekua Upazila Chhatra Dal President Advocate Jahid Hossain said, Today our beloved leader is not with us, but we feel him with our heart and mind that’s why we are here. Saladin bhai is always in our heart. Chakaria Upazila Chhatra Dal president Riyadh said,We will not let the chairperson understand the absence of our beloved leader Salahuddin Ahmed. Our favorite leader is always with us virtually.I have never imagined this day without him. Pekua Upazila Jatiyatabadi chatra Dol general secretary M. Jahid Hasan said, we did not think that we have to receive BNP chairperson without Salahuddin bhai. Despite all dificulties we are ready for warm reception of the country’s leader under his direction.Certainly Salah uddin Bhai was the part and parcel of our party. Pekua Upazila Volunteers Dol Joint Convener Nurul Absar said, The architect of development Salahuddin Ahmed is very much needed today because lack of his presence is being experienced not only Cox’sbazar but also the entire country. We believe and feel strongly that Salahuddin Ahmad will return to Bangladesh very soon after finishing all legal procedures in India. It is to be noted that BNP chairperson will stay in Cox’sbazar Circuit House from 29th October to 31st October for distribution of relief in different rohingya refugee camps including Ukhiya, Balukhali, Palongkhali.